So, you tied the knot, but you missed the pre wedding shoot? Or you didn’t really want to get the pre-wedding shoot done? Or.. you wanted to do a shoot as a married couple - the reason can be anything. Its 2018, and post wedding shoots are a new rage now! 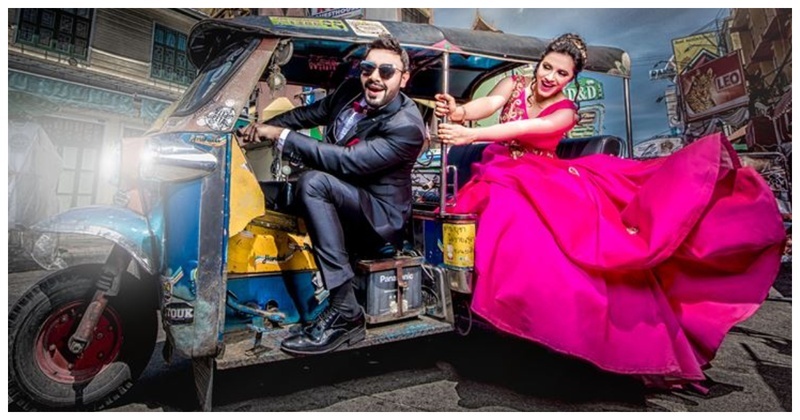 In the midst of marrying your beloved and still managing the decor, salon appointments and lehenga fittings, it’s possible you missed out on your pre-wedding shoot. Always wanted the Tanu and Manu pose while you are half drunk on your reception chair? And while meeting a hundred guests and vidai muhurat, that pose is still a dream? Well, a post wedding photo shoot will allow you to capture those missed photo opportunities! On your wedding day, your dadi ma wanted a family portrait and you had to get it right 10 times coz the big-fat khandan just doesn’t fit in easily with everyone looking their dapper selves. So, let a post-wedding photo shoot serve as a calming experience for you and your husband as you make sure both of your “good sides” are featured without any stressed expressions! A pre-wedding photo shoot is great, but it is usually taken a week or so before the wedding. This may not be enough time to choose or embark on a destination photo shoot. So, if you are packing your bags to Ibiza or France, you might wanna book a post-wedding photo shoot . Imagine basking under the Tuscan sun or sunsets at Maldives! You already took the saat pheras and flaunted the lehenga in front of everyone. You even managed to eat in it. So, now you can stop being so scared around your lehenga and take some daring shots around it. Also, how about a underwater post-wedding shoot in your bridal lehenga? A lot of couples don’t have ‘the proposal’, the thing you always dreamt of since childhood! But guess what, your post wedding shoot will give you the opportunity for that too! So, are you planning your post wedding shoot already!